Sometimes the simplest ingredients can have such a positive effect on your health. Water supplies many benefits on its own, but with the addition of lemon, you can get many nutrients, antioxidants, vitamins, and minerals. When you start your morning with a glass of hot water with the juice of lemon, you can reap some amazing benefits. Lemon water is not recommended if you have a pitta imbalance. Drinking a glass of water, particularly warm to hot water, in the morning is a great way to hydrate your body. During sleep, we go around eight hours without drinking. Giving your body adequate water when you wake up is a great way to start your body for digestion and your mind for the day. Drinking warm water with lemon in the morning can help clear the digestive tract of the build up of toxins, which can accumulate overnight as our liver detoxifies. Lemon water can help alleviate symptoms of indigestion, such as heartburn, bloating, and burping. It is also great to sip warm to hot water through out the day to aid in digestion! If you don’t have a regular bowel movement in the morning, drinking warm lemon water can help ease the flow! 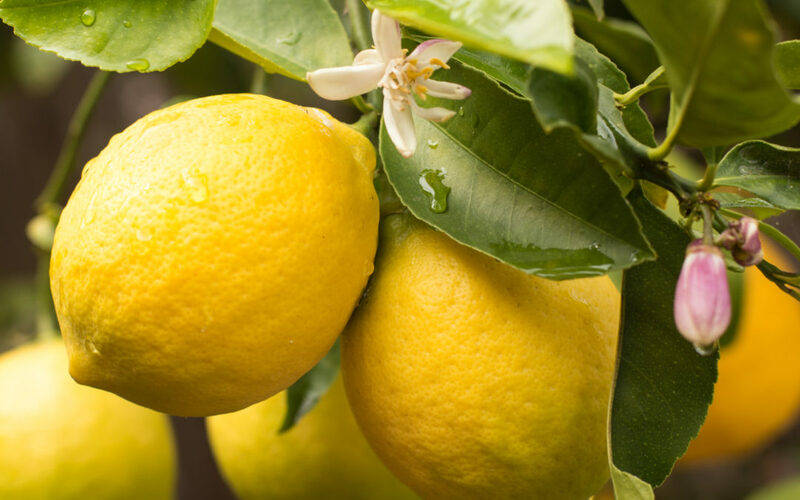 Lemons contain a high amount of vitamin C with little sugar, which helps the body boost its immune system. Yet, don’t just add it to your routine when you’re feeling sick; add it into your daily routine. Many people rely on caffeine whether that be coffee or teas in the morning to wake up, but one of the best benefits of warm lemon water in the morning is that it can boost your energy! I drink hot water and hot lemon water daily and never need to reach for coffee. My energy feels more sustained and I don’t deal with as many energy level dips. Being hydrated plus the vitamins C in lemons helps reduce the effects of chronic stress by being directly involved in the production of the stress hormone, cortisol, in your adrenals. When you are under chronic stress, a common issues is adrenal fatigue (a depletion of hormones that causes low blood pressure, fatigue, body aches, and lightheadedness, etc.). The smell of citrus is also very clearing for the senses and has been noted to improve mood. Staying hydrated has been studied to improve skin complexion. The vitamin C in lemons also helps to promote collagen production, which helps to produce smooth, healthy skin. In a study published in the American Journal of Clinical Nutrition, researchers found that the regular consumption of vitamin C led to younger-looking skin and less wrinkles. Drinking water, especially warm lemon water, in the morning, can help increase your metabolism and maintain a healthy weight. Of course, this isn’t a cure- all solution, but when combined with proper nutrition and healthy habits, it can facilitate giving you a boost. You can add optional mint, honey, ginger, basil, or cucumber depending on the season. Mint and cucumber are cooling which is recommended in summer. Ginger is great for all seasons, particularly winter. After drinking the warm lemon water, swish out your mouth with some room temperature water for 30 seconds to make sure the citric acid from the lemon juice doesn’t remain on the teeth.